All parts of a plant can be used. From the root to the leaves and flowers up to the seeds. Barbara Krasemann has a garden the size of a soccer field where she grows many local species and exotica, almost all of which she uses in the kitchen. Many fantastic and creative ideas from your own harvest that delight eye and palate can be conjured onto the plate from ornamental and kitchen plants. 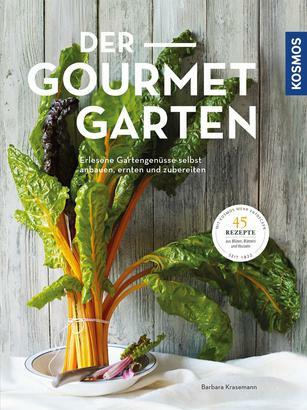 The 45 recipes are complemented by plant descriptions to allow you to grow the plants in your own garden. The perfect connection of two passions: gardening and cooking. Barbara Krasemann is a passionate gardener. Her 8,500 sq m garden holds barely a plant that she doesn't process into delicacies and valuable products for body and soul. That's how dreams of a garden become reality.